" Introduction to 'The School' "
Over the years many buildings of historical importance to a district or town have been forgotten and allowed to become ruins. 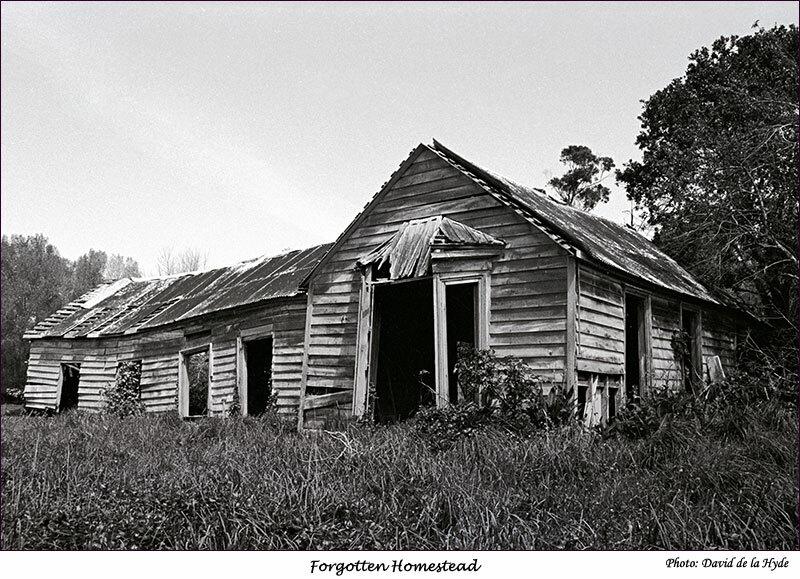 Pictured above is a derelict homestead. The original owner organised a shipload of migrants from England to establish a farming district with a town centre. This site is dedicated to all lost buildings of historical significance and what follows illustrates the destruction of one.